Stores grocery bags efficiently. 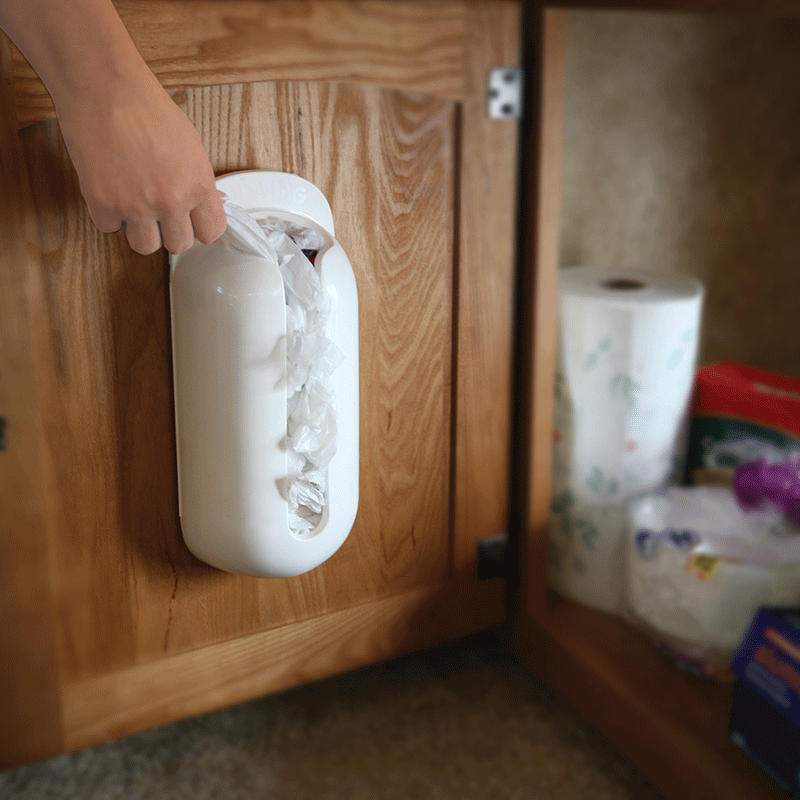 The plastic bag holder/ dispenser mounts easily onto walls or inside cabinets with screws or double-sided tape. Comes in white & holds up to 25 grocery bags.